Comic-book author, illustrator, artist. She was the recipient of the Muriel comics award in 2011 (Best original screenplay and best original Czech comic for the graphic novel Divoši [Savages]) and in 2007 (Best original book Anna chce skočit [Anna Wants to Jump]). Her books have been published in German, French and Polish. She was born on 23 July 1964. The events which Lomová describes are even more entertaining because they actually took place. The run-in with the police, the visit to the spa and even the love of Czech sausages – all this provides Savages with an almost Hašek-like poetic. 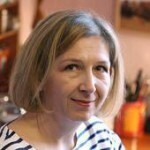 She began her career illustrating textbooks and children’s books, and she still illustrates books for adults (particularly for the writer Irena Dousková). Together with her sister Ivana she created the mice characters Anča and Pepík, and 1989 saw the publication of their first adventure. 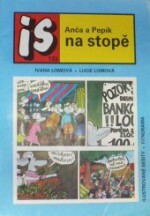 Soon Lucie Lomová began to draw and write about Anča and Pepík for the comic series Čtyřlístek, and their stories would continue for nine years. They were published in three volumes (Academia 2004 and Meander 2006 and 2007) and are considered to be some of the best comics for children today. Her first book for adults, Anna chce skočit, was first published by the French comics publisher Éditions de l’An 2 and then in Czech by Meander in 2007. “The most attractive passages are those drawn in charcoal, where the characters are reminiscing or dreaming. The author puts a lot of detail into her drawings and at the same time they radiate a kind of sadness and nostalgia. If we can talk about comics for adults as part of Czech art, then following her debut Lomová is a major part of it,” wrote Jiří G. Růžička about the book for the magazine A2. 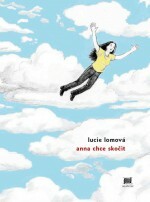 The publishers characterized the book as “a multilayered novel, part detective, part love story, part road movie, part intimate diary, in addition to being a very funny comic, drawn in a simple style but with full-blooded imagination.” It is the story of Anna who accidentally discovers that she has a twin who lives far away. At the same time as trying to solve the family mystery, this adventure story also uncovers the modern history of Central Europe. 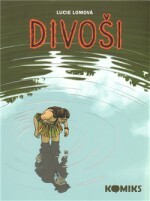 There then followed the comics Divoši (Savages, Labyrint, 2011), which was awarded a host of prizes. Again the book was first published in France, where it also met with critical acclaim. It follows the story of a native who was brought from Latin America to Prague by the traveller Vojtěch Frič. “The most comprehensive colour comic-book since Saudek’s Muriel. Thanks to its universal narrative technique it could become the most famous Czech comic book abroad, without worrying about being based on typical Czech poetics,” wrote Richard Klíčník about the book for iLiteratura.cz. Lucie Lomová’s latest acclaimed book is Na odstřel (Shooting Star, Labyrint, 2014), a crime story set in a theatre. 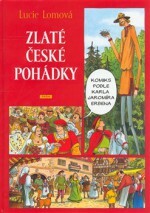 Apart from her own comics, Lomová has also illustrated the fairy tales of Karel Jaromír Erben (Práh, 2008), which have also been published in Chinese, Russian, English, German, Italian and Spanish.